Victory Day celebrates the end of World War 2 and France's freedom. This holiday occurs on May 8th each year. On this holiday people attend to churches, sing patriotic songs, and remember those who have died in the War. 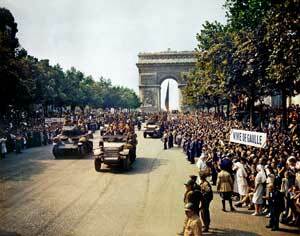 Most schools learn about Nazi oppression and World War 2 before France Victory Day happens. Most buildings are closed other than airports and railway stations. On May 8th, Charles de Gaulle, the leader of French forces, told all of France that the 6 year war and the Nazi oppression in France is over. In 1982 France Victory Day became an official holiday.